With the cherry blossoms approaching peak bloom, Metro is preparing for big crowds. Here's what to expect with getting around D.C. this weekend. Cherry blossom peak bloom weekend in Washington, D.C. brings big crowds to the Metrorail, so the agency is limiting scheduled track work Saturday and Sunday. 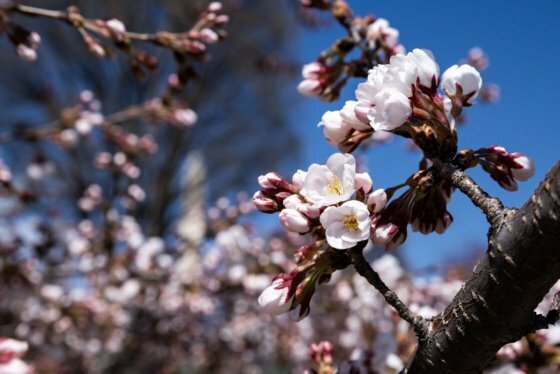 The latest projection is that the trees around the Tidal Basin in D.C. will hit peak bloom (70 percent blooming) by Monday, lining up the blossoms with Saturday’s Kite Festival. Metro or biking are usually the only way to avoid a standstill this time of year anywhere near the National Mall. Additional traffic delays are possible elsewhere around events like the Nationals’ opening weekend and the NCAA Men’s Basketball Tournament’s Sweet 16 and Elite 8 at Capital One Arena. Saturday and Sunday, Metro plans normal weekend service with no scheduled track work before 10 p.m. The D.C. Circulator around the National Mall is now free, providing an additional connection. 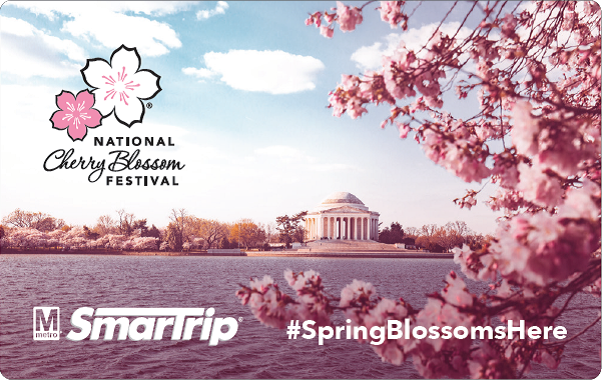 Maryland’s MARC Train is also promoting Cherry blossom service, with the return this weekend of its bike car to weekend Penn Line operations. In the past, MARC’s weekend service has been busiest on the day of the Cherry Blossom Festival Parade, which is two weeks away on Apr. 13. Metro plans to limit weekend track work through the end of the festival on Apr. 14. Metro suggests using L’Enfant Plaza or Federal Triangle to reach the Tidal Basin since the closest station, Smithsonian, can get crowded. The agency also recommends riders ensure they have round-trip fares loaded onto their SmarTrip cards before heading into town. Downtown on Sunday morning, the Scope It Out 5K is scheduled to close Pennsylvania Avenue and other roads between Freedom Plaza and the Capitol across to Independence Avenue SW. Drivers working around the closure should have a new option, with the District converting K St. NW between 9th St. and 10th St. at Mount Vernon Square from one-way to two-way traffic this weekend. Also on Sunday, there could be extra police or other emergency response units around in Arlington, Virginia, as part of a drill meant to practice how the region would manage traffic and respond in the event of a terror attack with multiple targets. The drill is not expected to have significant traffic impacts across the region, but may be somewhat visible. After 10 p.m. Saturday and Sunday, Metro does have single tracking scheduled on the Orange, Blue, Yellow and Green lines. Silver Line trains are scheduled to be cut back after 10 p.m. to run only between Wiehle-Reston East and Ballston stations. Friday night, there is also single tracking after 10 p.m. on the Green, Orange, Blue and Silver lines, with Silver Line trains also cut back to run just between Wiehle-Reston East and Ballston stations. This track work is similar to single tracking on various lines Metro typically does after 10 p.m. weeknights.